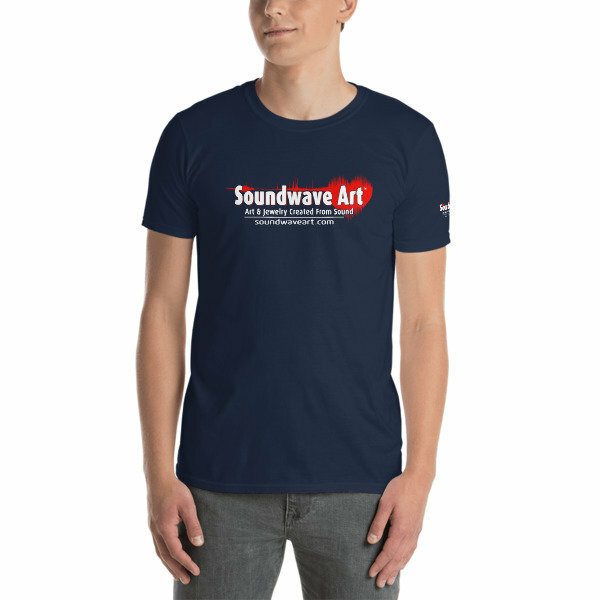 Soundwave Art™ logo on front and sleeve | Soundwave Art™ Brand Shirts | Soundwave Art™ - Turn your voice or sound into art! 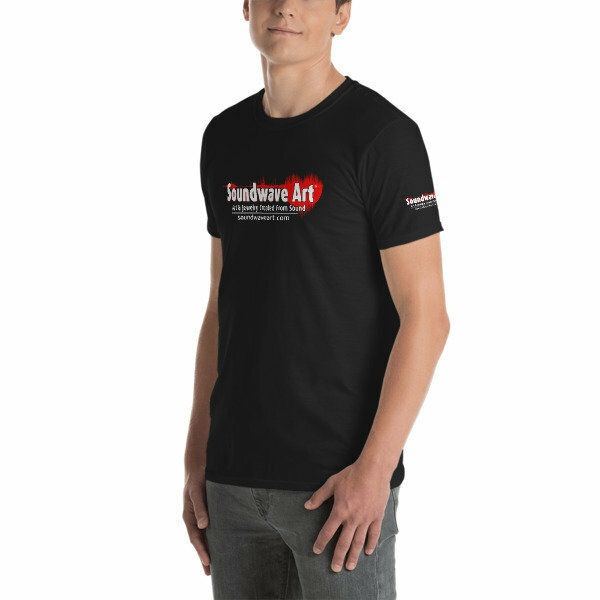 Unisex T-Shirt made of a thicker, heavier cotton, but it's still soft. 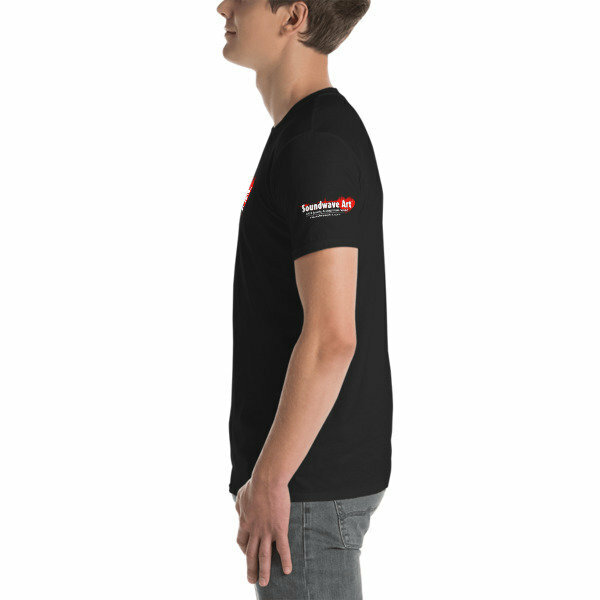 And the double stitching on the neckline and sleeves add more durability to what is sure to be a favorite! • 100% ringspun cotton • 4.5 oz (153 g/m2) • Pre-shrunk • Shoulder-to-shoulder taping • Quarter-turned to avoid crease down the center Model is wearing a size M. He's 6.2 feet (190 cm) tall, chest circumference 37.7" (96 cm), waist circumference 33.4" (85 cm).